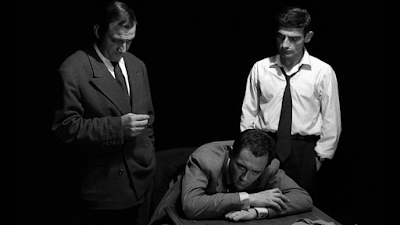 There is something dazzling about how softly Louis Malle weaves together all the narratives in his 1957 debut, Elevator to the Gallows. What is seemingly random happenstance, a sorry turn of fate, eventually swirls its way back around to be important, to affect change and create an unavoidable outcome. 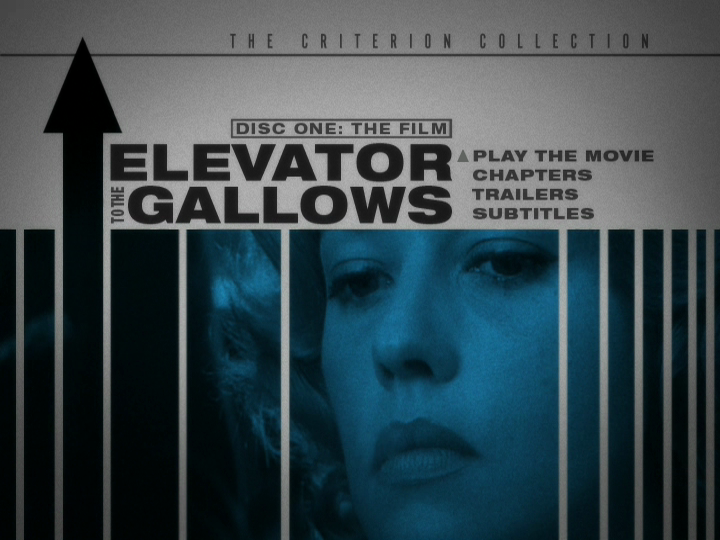 Elevator to the Gallows is perfect French noir, taking the bleak criminal narratives of American film noir, injecting a touch of politics, and amping the existential irony to degrees that would impress even Sartre. Every well-motivated action will bring about bad results, every attempt to escape just tightens the noose. The plot is supposed to be simple: army veteran Julien Tavernier (Maurice Ronet, The Fire Within [review]) is going to kill his boss (Jean Wall), a war profiteer, and make it look like suicide so he can run away with the man’s wife, Florence (Jeanne Moreau, The Lovers [review]). The plan is to do the deed in the boss’ office on Saturday, leaving him to be found when the workweek resumes. 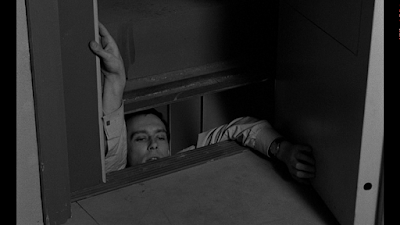 After a distraction causes Julien to miss a crucial detail, however, he has to head back to the scene of the crime--where he promptly becomes locked in the elevator when security shuts down the building for the weekend. With Julien trapped, things begin to unravel. Feeling jilted when he misses their rendezvous, Florence wanders the street looking for him--even after she spots his car leaving town, the young girl from the flower shop (Yori Bertin) riding in the passenger seat. What she doesn’t see, though, is that Julien is not the driver. 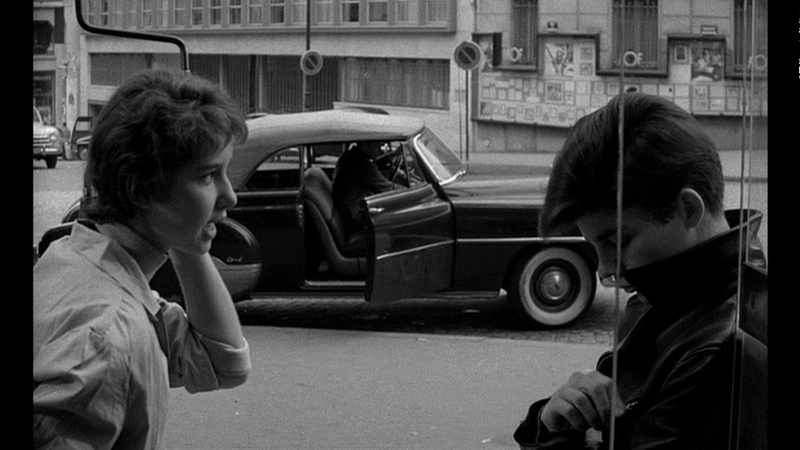 Rather, it’s the girl’s delinquent boyfriend (Georges Poujouly, Forbidden Games) taking the convertible for a joy ride. And from here we have as series of misadventures and misunderstandings, the night intensifying, becoming more desperate, the narratives growing simultaneously more disparate and more tangled. Elevator to the Gallows works as a taut crime thriller, but it’s also a story of romantic longing. 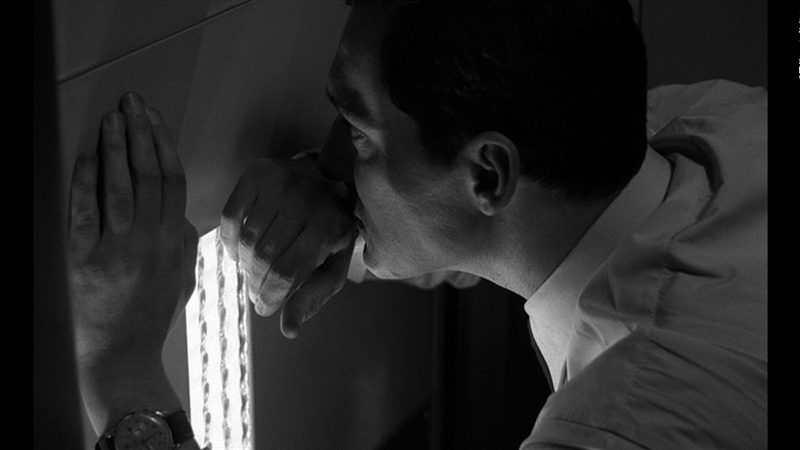 While on the elevator, Julien worries less about being caught and more about leaving Florence waiting. He tries everything he can to escape, Ronet turning in a quiet, determined performance, showing the soldier thinking through every potential angle. Malle works the tension of the moment via the claustrophobia, putting the camera in tight so as to almost insert the viewer into the scenario. I can’t imagine myself being even close to as resourceful as Julien were I in the same situation. There is also one moment of genuine peril that gets the heart racing in a movie that otherwise takes its time. It’s really Jeanne Moreau who carries the film, however. A seemingly simple role, the part of Florence mostly involves walking the streets, peering in doorways, and conveying a sense of deep longing. Even without her voiceover to give us further insight into her feelings, Moreau’s performance is so compelling, her sadness so electric, one can’t take one’s eyes off her. 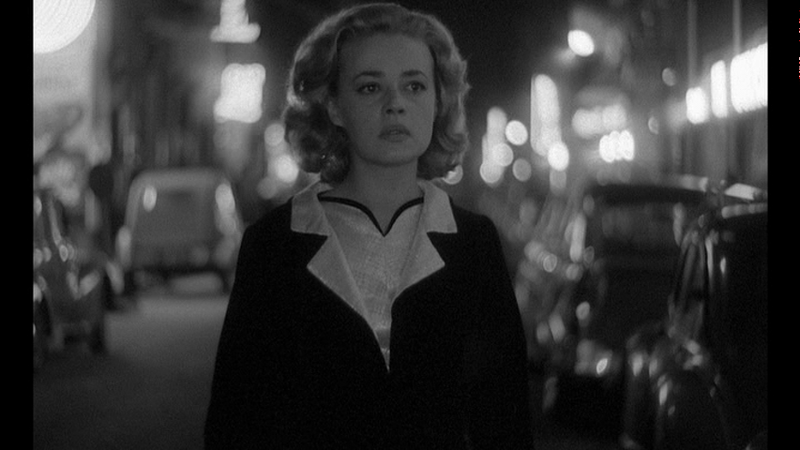 Indeed, as she passes pedestrians, they all stare, proving how magnetic Jeanne Moreau truly is. It’s not the camera they peer into or that draws their attention, it’s her. And her true strength is how expertly she blocks them all out. Watch her in the one shot where she crosses the street, never looking at the cars, but yet passing perfectly through traffic. How did they choreograph that? It looks more dangerous than Julien’s elevator shaft stunt! There is a contrast to be seen here between the two sets of lovers, between the dedicated and deeply felt adults, willing to take any chance to be together, to the more impulsive and superficial bond between Louis and the flower girl. 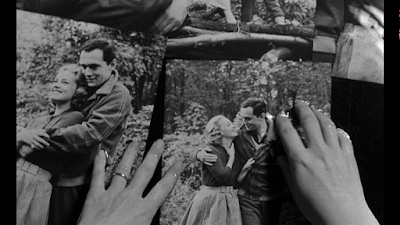 The troubles that befall Julien and Florence are unforeseen consequences of considered decisions; the trouble Louis causes is a product of adolescent chaos, and Véronique’s solutions just the same. In most other stories, the inevitability of tragedy would be reserved for the younger star-crossed lovers. How much more tragic, then, that we never actually see Julien and Florence together, and almost never see Louis and Véronique apart? In noir, there is no young and old; all of us must receive our due comeuppance. 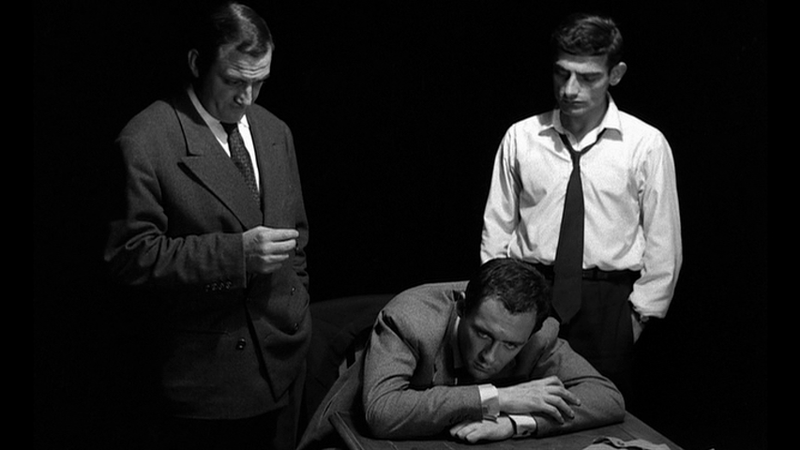 Malle’s approach is a mixture of New Wave realism and Dassin-esque artistry. 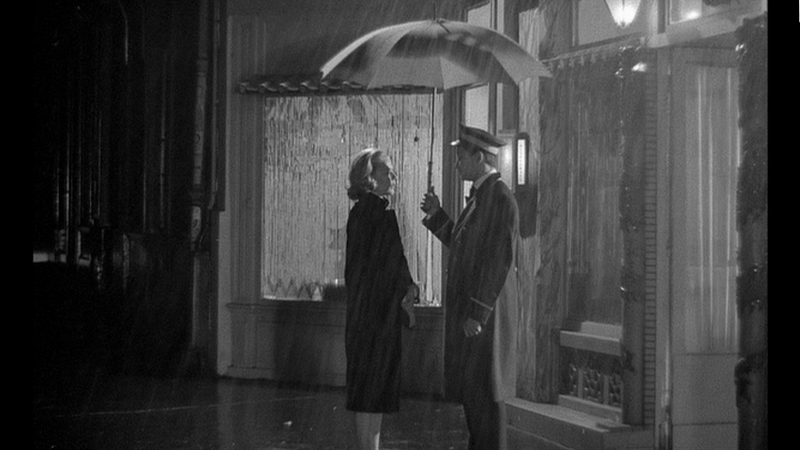 The grainy exteriors mask the artifice of the plotting, while the naturalistic performances invigorate the carefully constructed story machinations. Moving through all of it is Miles Davis’ famous score, lending a bit of Americana to the very French proceedings, while also emphasizing Elevator to the Gallows’ aimless melancholy. The music seems particularly on point when it shares the screen with Moreau, as if she were the muse teasing every note from Davis’ trumpet. Beyond the story, Elevator to the Gallows is the meeting of these three singular talents, a chemical formula that would have been impossible to predict, much less replicate. It couldn’t have worked if any of the participants had been swapped out, and yet it’s also so organically magical, it doesn’t feel like it could have been planned. It’s the perfect collision of performance, of visual and audio, resulting in a film that transcends its own genre trappings to be something entirely unforeseen.